A new tiara for Mary? Amalienborg, 21st January 2006 The christening robe was made for the christening of Prince Christian, later to become Christian X, in Christiansborg Palace Chapel in 1870. The christening robe was made of Brussels lace, which the mother of Christian X, Queen Lovisa, had bought in Belgium. 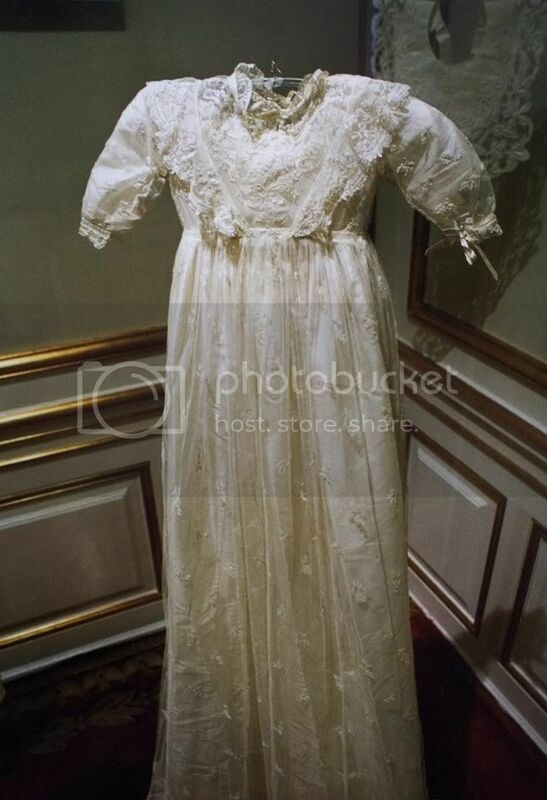 Together with the christening robe there are a train, a silk ribbon to be tied around the waist, a cushion case, a bib as well as a fine organza apron. Since then, the following Royal Children have been baptised in the christening robe: Prince Carl (from 1905 King Haakon VII of Norway), Prince Harald, Prince Gustav, Princess Louise, Princess Thyra, Princess Dagmar, Frederik IX, Prince Knud (Heir Presumptive to the Throne), Queen Margrethe, Princess Benedikte, Queen Anne-Marie, Princess Elisabeth, Count Ingolf of Rosenborg, Count Christian of Rosenborg, Crown Prince Frederik and Prince Joachim. 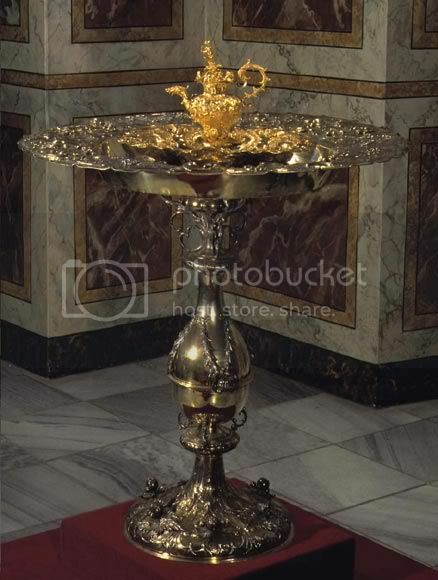 After the christening on Saturday 21 January 2006 of the son of Their Royal Highnesses Crown Prince Frederik and Crown Princess Mary The Amalienborg Museum will display the christening robe, the royal baptismal font and the gold plate with its accompanying ewer and candlesticks from Friday 27January until Sunday 19 March 2006. The objects exhibited will form part of the current exhibition, "The Royal Succession – an exhibition for children" and will illustrate the continuity of the Royal House, which is the theme of the exhibition.